Paul has been in pastoral ministry for 18+ years; he was pastor for families at a Baptist church on the Central Coast NSW, then Pastor for a Baptist Church in country NSW. 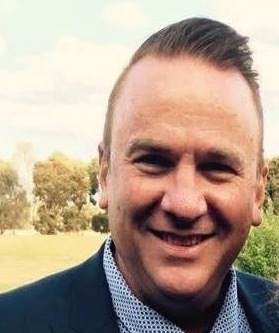 Paul is now Senior Pastor of Sydenham Baptist Church in Melbourne’s North West. Over the past 20 years, Paul has studied economics, theology/ministry and psychology. Paul became involved with Peacewise attending Personal Peacemaking and Culture of Peace in 2008. He’s since participated in all of Peacewise’s training including Advanced Mediation and Reconciling Marital Conflict. Paul completed Peacewise’s Train the Trainer in 2011 and has since been a trainer with Peacewise. Paul is married to Liz, they have four children -- James married to Bree, Jonathan, Micaela and Joel.